Read and Black and Learning All Over: Oh hey! I have a blog! Oh hey! I have a blog! Ok, so I didn't completely forget I have a blog, but sometimes life makes it hard to keep up. Between getting a new job this year, and some very difficult life changes, my blog has definitely taken a back seat. Then, I saw my blog on someone's blog real, and it said last post: 2 months ago... 2 MONTHS! Has it really been that long? So what's going on in my classroom? A ton of learning! The past few weeks my students have been buzzing about the falcon next in Harrisburg. Thanks to Emily Kissner over at In My Classroom: The Forest and the Trees, they got some inspiration to learn. 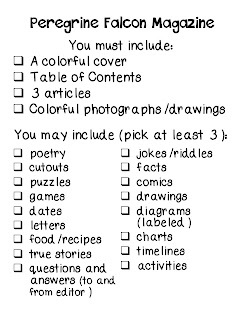 She has an amazing set available at TpT to help students learn Text Structure. In the set, there are articles about the Peregrine Falcon and Chinstrap Penguins. Well, they just can't stop talking about falcons! We've been watching the live feed from a ledge on the Rachel Carson building in Harrisburg. Click here to see the feed. I can't wait until tomorrow morning, because what they've been waiting for has finally happened! On Saturday morning the mama falcon hatched her first egg. From the looks of it now, there are two baby chicks hatched. Tomorrow my classroom with be all a twitter! They each spend over a week compiling information, creating layouts, and coming up with creative pages to add to their magazine. It was awesome to see their creative energy at work, and to see them so exciting and lively after sitting and taking a not so fun test. I think the hardest part of the whole process was teaching them to use Power Point. I cannot stand Word. It is the most annoying template when you are trying to create anything that involves more than just text. So, I taught them the art of using Power Point for more than just making a slideshow. They didn't believe me at first, but they came around to my way of thinking. I can't wait until they are all finished. I'll be sure to share some of their amazing work! We also spent some time before state testing to work on some CCSS review. 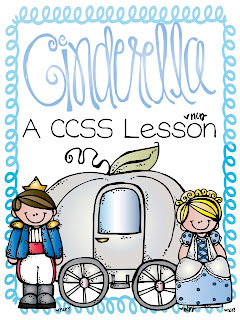 One of the units I was most excited to teach was a unit based around Cinderella. I created some materials to help my students compare and contrast Cinderella stories for different cultures. It's available on my TpT site now! Click the picture to go directly to my page. So, what do you do to prepare for high stakes testing? We are finished math and reading, but have two more days of science ... hooray?